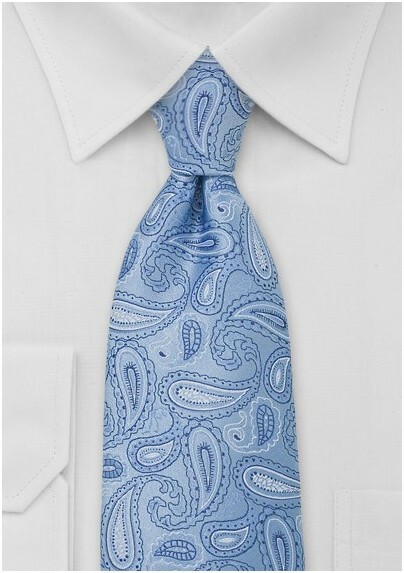 Add a heavy dose of true blue style to your accessory arsenal with this incredibly chic paisley patterned necktie in a palette of handsome and versatile blues. The handcrafted paisleys are hand woven into the designer accessory using a premium silk and a hand loom. Never, ever underestimate the star quality of a well designed paisley pattern. 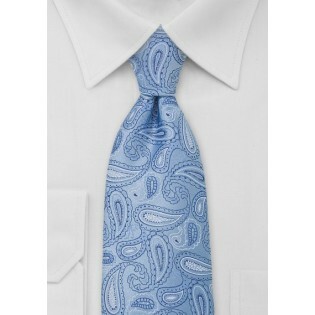 We suggest pairing this necktie with a light fair weather blue dress shirt and a lightweight dark navy suit. Crafted from one hundred percent pure silk.